The growth rate is average. The bloom consists of 65 untreated, 76 treated petals. The plant is a profuse bloomer. The flower falls in one piece and is long lasting and has a unique color. is long lasting and has a unique color. The dark green leaves average 3 1/2" x 2 1/2". The plant is suitable for landscaping and exhibition uses. 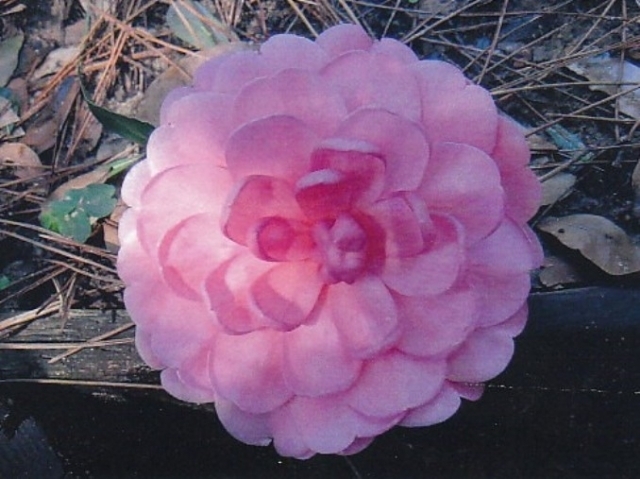 Originated, registered and propagated by Richard Hooton of Pensacola, Florida.